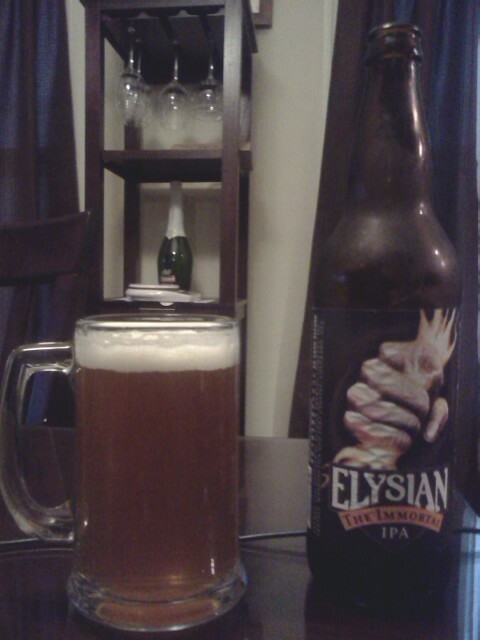 Last night’s beverage of choice was the Elysian “The Immortal” I.P.A. from the Elysian Brewing Company out of Seattle, Washington. I picked this up with a few other bottles at the Village Beer Merchant here in Buffalo. 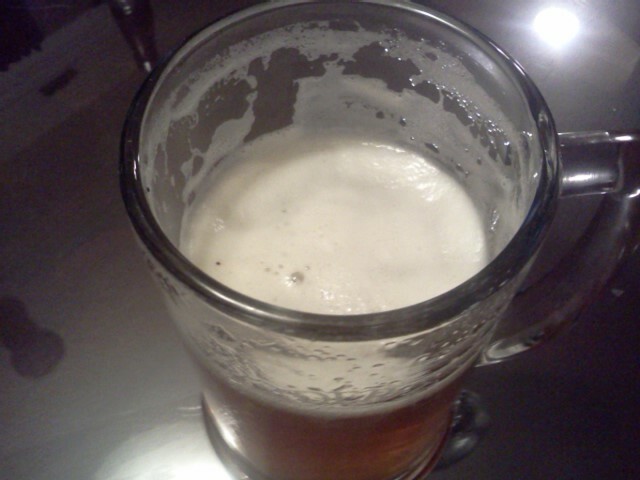 I’ve decided that I’m going to review up to four beers a week. Next week I’m off to San Fransisco where I will be taking note of plenty incredible beers that I will be encountering on the west coast. I had passed by this beer numerous times at the beer store and it had always caught my eye. After reading some mediocre reviews that delayed previous impulse purchase attempts, today I caved in and decided to give it a try. 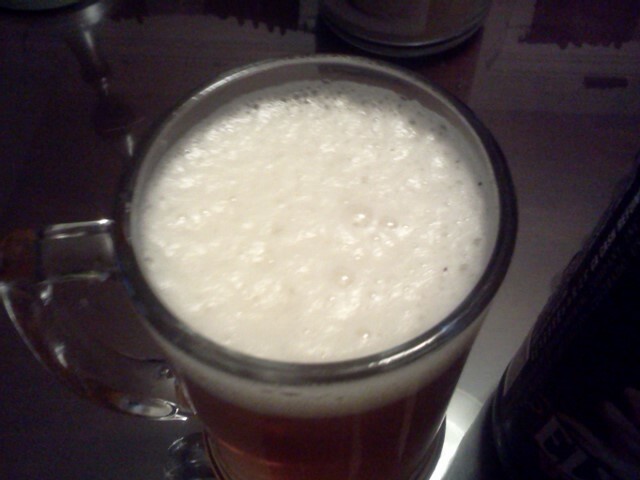 The beer poured a nice hazy, golden amber and had a really impressive thick, clingy, eggshell colored head on it that remained constant for most of the beer. 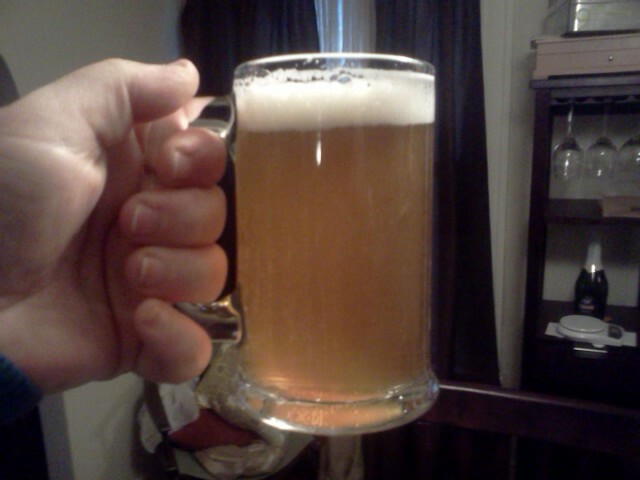 This wasn’t as hoppy as I normally prefer my I.P.A.’s but it was rich in honey citrus flavors without being too sweet. What impressed me the most was the incredible balance of flavor. It wasn’t too sweet but it had just the perfect blend of pine, grapefruit, and sweet fruits. Availability: Year Round 1/2Bbl Kegs and 22oz bottles.